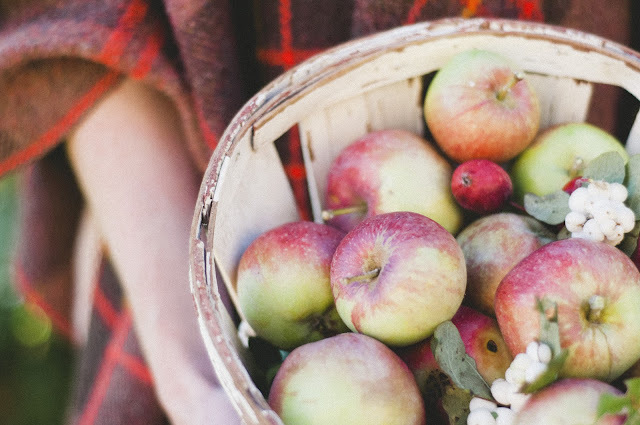 We love a gorgeous white pumpkin, cornstalks, and burlap, but this year we decided to branch out (no pun intended) and style apples in various ways for fall. We found a wild apple tree down by the lake and harvested a few branches. I am in love with the bright colors on each one. Greens, yellows, and reds -- it really is a great palette to work with for the season. 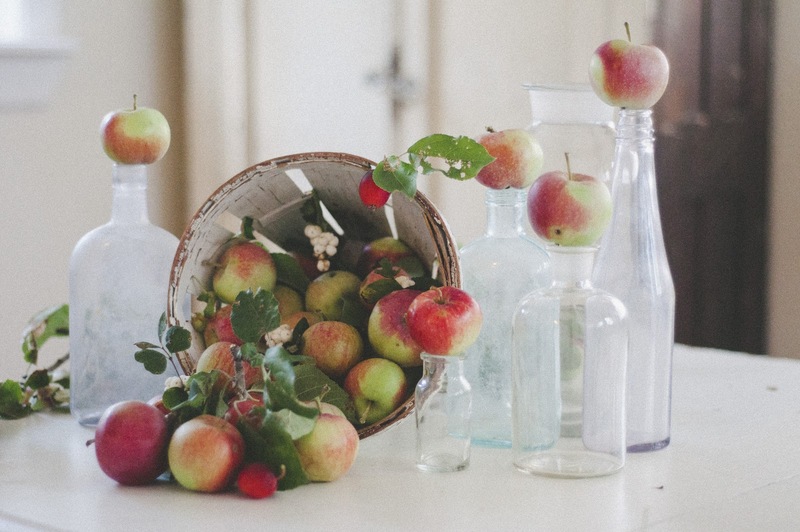 Always looking to do something unique, we styled apples on top of vintage bottles in this first shoot. 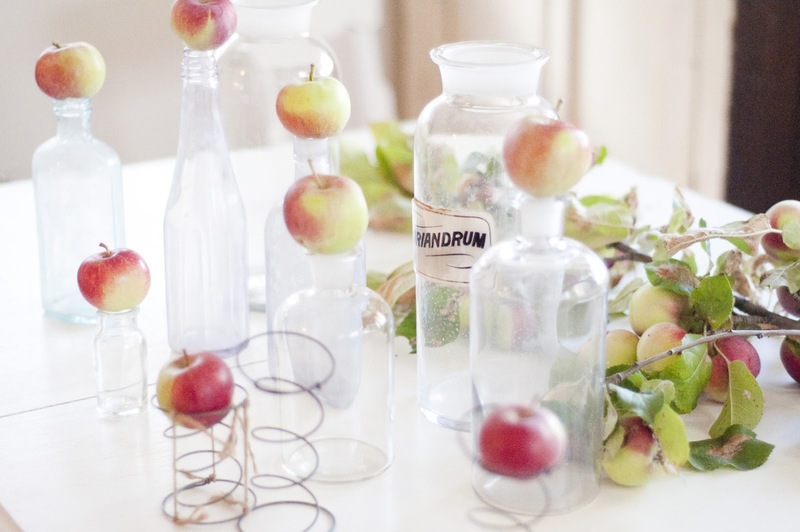 Add in a few old rusty springs and an apple branch, and it's a quick way to decorate a mantle or entry table. We love this look! 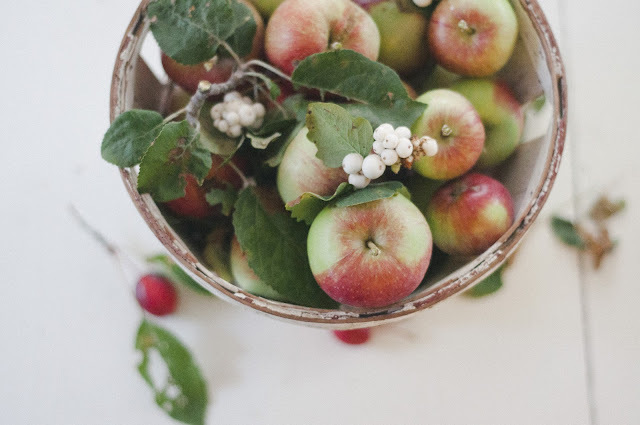 For a centerpiece idea, tip a small basket of apples on it's side, and place a few berries among the apples that naturally spill out on to the table. We used snowberries and dogwood which are easily found in the forest in Montana. You can get creative with different berries wherever you are! I love that the forest is full of inspiration. Do you decorate with apples in the fall? 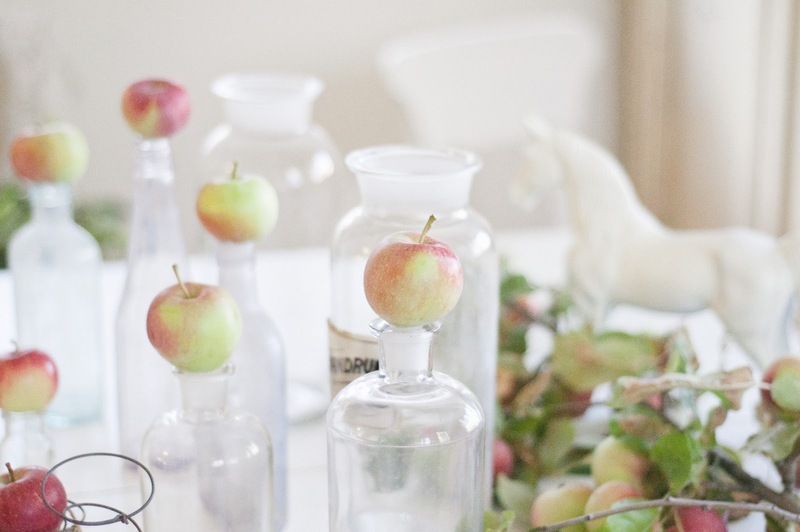 What are your favorite ways to use them for decorating?